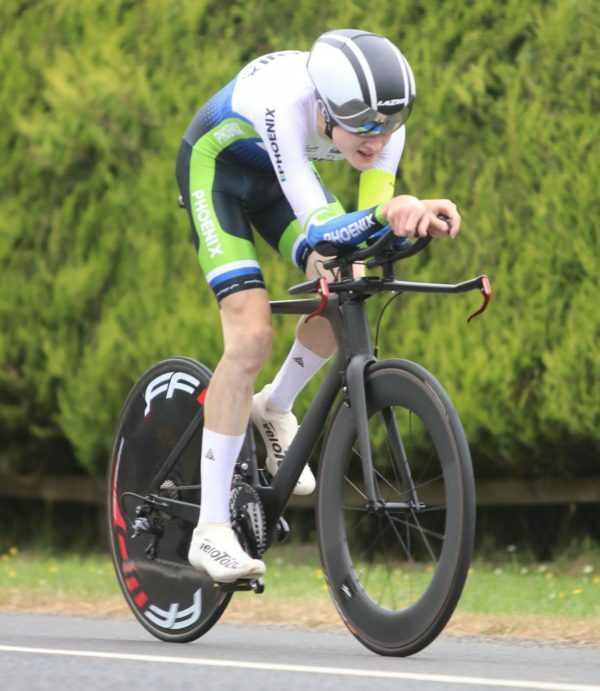 Having gone close to victory in what was an exciting St Patrick’s Day race promoted by North Pole CC last weekend, Donal Shearer has come good in Co Cavan today. The Phoenix Cycling Club man was best against the watch in the Breffni Wheelers Cycling Club 16km open TT. In the event in Butlersbridge, in less than ideal conditions, he recorded a time of 20:27; an average of 47.24km per hour. That was enough to give him victory by a not insignificant margin of 16 seconds over PJ McKenna of Emyvale CC. And rounding out the podium in what was a very well-supported event was Newry Wheeler Sean Featherstone; in a time of 21:20. Irish international Eileen Burns, a veteran of the Commonwealth Games, Europeans and Worlds claimed the women’s contest. 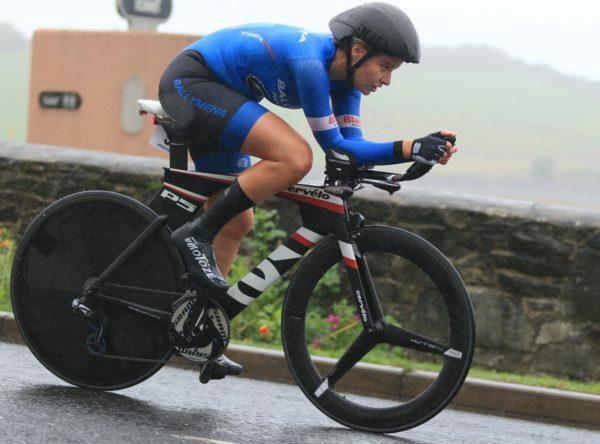 Indeed, the Ballymena RC woman clocked the 6th fastest time of the day; a very strong result. She stopped the clock at 22:01. Next woman home was Jennifer Bates of Bio-DHL-FRS, in a time of 23:57. Jennifer Neenan of Sundrive Track team was 3rd in a time of 24:47. Despite the crosswinds on the out and back flat course, the times of both Shearer and Burns were new course records. The overall winner, Donal Shearer animated last Sunday’s racing in Donegal when his near race-long breakaway just fell short. He was caught and passed in sight of the finish line by winner Ronan McLaughlin (Morrissey-MIG-Pactimo) and runner-up Darnell Moore (Caldwell Omagh). Shearer had gone clear of the scratch group early in the contest, catching and going through the groups ahead. Top junior Kevin McCambridge of Nicolas Roche PT joined him out front in his escape. In the latter stages Shearer dropped McCambridge. His breakaway heroics very nearly netted him a win. Shearer is a relative newcomer to cycling though won the Dunloy GP last year and his progression seems to have continued over the winter.